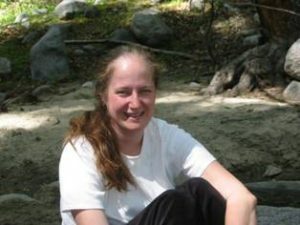 *** Alison Winter (1965–2016), historian of the mind, as well as professor of history, the conceptual and historical studies of science, and the college at the University of Chicago, passed away last week from complications related to a brain tumor. A formidable scholar, teacher, and friend, Winter counted among her contributions to the history of sciences of mind two books published by the University of Chicago Press, Memory: Fragments of a Modern History (2012), winner of the 2014 Gordon J. Laing Prize for a book published in the previous three years by a Chicago faculty member that brings the Press the greatest distinction, and Mesmerized: Powers of Mind in Victorian Britain (2000). As noted by her colleague, Emilio Kourí, chair of the Department of History: “We will all miss her uncommon intelligence, her boundless curiosity, and her joie de vivre.” From the Department of History at the University of Chicago: The Guggenheim, Andrew W. Mellon, and National Science foundations awarded Winter fellowships to research her second book, Memory: Fragments of a Modern History (2012). 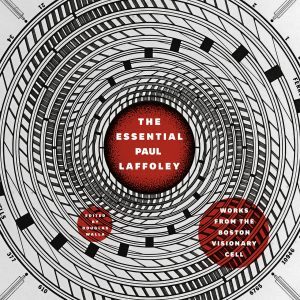 Memory received a Gordon J. Laing Prize in 2014 for most distinguished book published by the University of Chicago Press. Daniel Kevles of Yale University called the book an “original history of the intertwined . . . 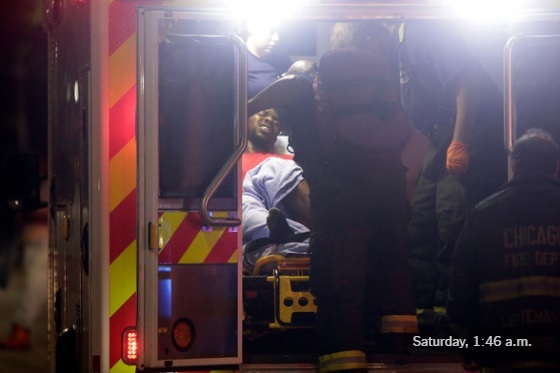 Earlier this month, the New York Times published a blockbuster piece of investigative reporting that involved sending a team of journalists and photographers to Chicago to cover the unfolding events of a Memorial Day weekend that culminated in 64 shootings and 6 deaths in just under 72 hours. As the violence escalated, reporters on the scene followed the blotter, interviewing those injured, witnesses on the scene, and community members, many of whom live on the city’s South and Southwest sides, leading to a portrait in real time not only the weekend’s events, but also how these bloody circumstances significantly impact the neighborhoods in which they continue to occur. The coverage comes on the heels of several other recent pieces by the NYT on Chicago’s ongoing problems with gun-related bloodshed, including “Chicago’s Murder Problem” (May 27, 2016), “Pleading for Peace in Chicago Amid Fears of a Bloody Summer” (May 28, 2016), and “When Violence Hits Home in Chicago,” a feature from the Lens Blog, on the photos that accompanied that major piece, “A Weekend in Chicago” (June 4, 2016). We asked Robert J. Sampson, a sociologist whose work on crime, civic engagement, inequality, and the neighborhood effect was used as research by the NYT in the piece, and Susan A. Phillips, an anthropologist who focuses on urban violence, . 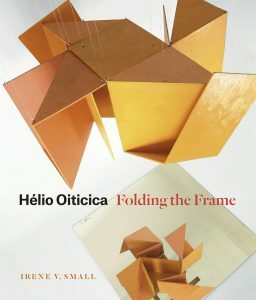 . .
Irene V. Small recently launched her much-anticipated book Hélio Oiticica: Folding the Frame—a critical examination of the Brazilian conceptualist’s works, set against a backdrop of the nation’s dramatic postwar push for modernization—via a conversation with Sofia Hernández Chong Cuy at New York’s e-flux in late May. We’re late to the party with the photos, but not the swagger: To read more about Hélio Oiticica, click here. . . .
From Justice Sonia Sotomayor’s dissent to this week’s Supreme Court verdict in Utah vs. Strieff, which twice cited Pulled Over: How Police Stops Define Race and Citizenship, including its core argument about how police stops deleteriously convey messages about citizenship and racial disparity: Writing only for myself, and drawing on my professional experiences, I would add that unlawful “stops” have severe consequences much greater than the inconvenience suggested by the name. This Court has given officers an array of instruments to probe and examine you. When we condone officers’ use of these devices without adequate cause, we give them reason to target pedestrians in an arbitrary manner. We also risk treating members of our communities as second-class citizens. Although many Americans have been stopped for speeding or jaywalking, few may realize how degrading a stop can be when the officer is looking for more. This Court has allowed an officer to stop you for whatever reason he wants—so long as he can point to a pretextual justification after the fact. . . . The indignity of the stop is not limited to an officer telling you that you look like a criminal (See Epp, Pulled Over, at 5). 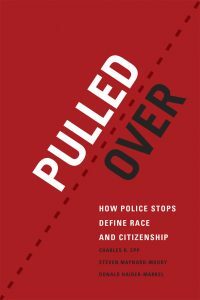 To read more about Pulled . . . 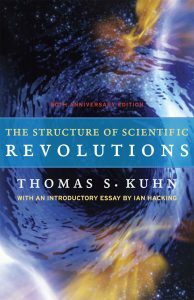 The Guardian recently began chronicling their “100 Best Nonfiction Books of All Time.” Placing 21st on the list and profiled by Robert McCrum, Thomas S. Kuhn’s The Structure of Scientific Revolutions proves not only why it merited a new edition for its fiftieth anniversary in 2012, but also why new generations continue to find relevance in Kuhn’s concept of the “paradigm shift,” and the potential in situating the history of science in a dialectic composed of “normal” and “revolutionary” phases. From the Guardian: Yet, against the odds, Kuhn remains evergreen. His great insight, which owed something to Kant, but was based on his own study of the Copernican revolution, was provocatively at odds with Karl Popper (a later entry in this series). Kuhn’s description of the dialectic of change in science (the making of a paradigm; the recognition of anomalies, with an ensuing crisis; finally, the resolution of the crisis by a new paradigm) still holds true today, albeit in a radically different intellectual environment dominated by information science and biotechnology. Kuhn’s argument for an episodic model of scientific development in which periods of continuity are interrupted by passages of revolutionary science remains disputed by some, but is widely accepted within most circles. He himself has written . 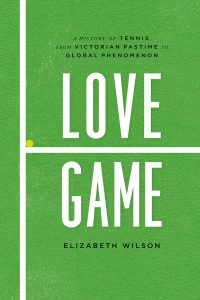 . .
From a recent review of Elizabeth Wilson’s Love Game: A History of Tennis from Victorian Pastime to Global Phenomenon (or, In Defense of Scholarly Publishing) in the New York Times: Wilson drop-shots mini-essays on broader intellectual topics like corporate dominance (“McDonaldization”) into the mix, and occasionally hits the mark, as in a paragraph on punk culture: “When Nastase and Connors brought the spectators into the drama this was a distinctly punk tactic, whether they realized it or not.” Caveat emptor for tennis fans, however: It’s an indication of the content and tone of the book that the Baader-Meinhof Group receives two mentions while the late tennis writer, historian and commentator Bud Collins shamefully gets none. No shame in the Indexical Cultural Context (Love) Game. To read more about Love Game, click here. . . .
Our free e-book for June is: Mark Monmonier’s Coastlines: How Mapmakers Frame the World and Chart Environmental Change *** In the next century, sea levels are predicted to rise at unprecedented rates, causing flooding around the world, from the islands of Malaysia and the canals of Venice to the coasts of Florida and California. These rising water levels pose serious challenges to all aspects of coastal existence—chiefly economic, residential, and environmental—as well as to the cartographic definition and mapping of coasts. It is this facet of coastal life that Mark Monmonier tackles in Coast Lines. 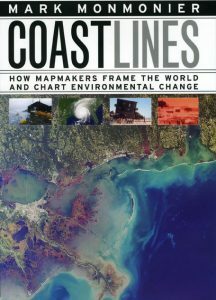 Setting sail on a journey across shifting landscapes, cartographic technology, and climate change, Monmonier reveals that coastlines are as much a set of ideas, assumptions, and societal beliefs as they are solid black lines on maps. Whether for sailing charts or property maps, Monmonier shows, coastlines challenge mapmakers to capture on paper a highly irregular land-water boundary perturbed by tides and storms and complicated by rocks, wrecks, and shoals.Coast Lines is peppered with captivating anecdotes about the frustrating effort to expunge fictitious islands from nautical charts, the tricky measurement of a coastline’s length, and the contentious notions of beachfront property and public access. Combing maritime . . . 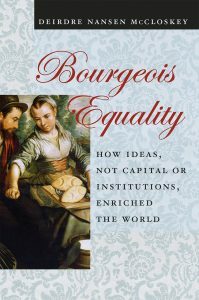 In a recent piece for the Wall Street Journal, Deirdre N. McCloskey underlines some of the major themes that inform her decade-in-the-making trilogy The Bourgeois Era, including those particular to its most recent volume, Bourgeois Equality: How Ideas, Not Capital or Institutions, Enriched the World. Denying the centrality of accumulated capital, and turning instead to the accumulation of ideas, McCloskey posits “betterment” at the core of, well, how we became bourgeois. More about this in her book, but here’s a teaser from the WSJ: What caused it? The usual explanations follow ideology. On the left, from Marx onward, the key is said to be exploitation. Capitalists after 1800 seized surplus value from their workers and invested it in dark, satanic mills. On the right, from the blessed Adam Smithonward, the trick was thought to be savings. The wild Highlanders could become as rich as the Dutch—“the highest degree of opulence,” as Smith put it in 1776—if they would merely save enough to accumulate capital (and stop stealing cattle from one another). A recent extension of Smith’s claim, put forward by the late economics Nobelist Douglass North (and now embraced as orthodoxy by the World Bank) is that the real elixir is institutions. On this . . . I, too, am biased. I find Paul Laffoley’s work speculatively seductive—the paranoiac bad vibes-side of the New Age, mixed with some pretty great architectural schematics that anticipate accelerationism and our non-anthropocentric future. As part of a pretty compelling interview with Douglas Walla, Paul Laffoley’s legendary gallerist and editor of his catalogue raisonné, conducted by Richard Metzger (another pal of Laffoley’s) for Dangerous Minds, here’s a chunk that capitalizes on the wonder: Richard Metzger: Right after the publisher sent me a black and white print out of the book, you called me up and gingerly suggested that I “might want to give Paul a call at the hospital.” I indicated how great I thought the book was and you replied—more poetically than I’m putting it here—that you were relieved and satisfied that Paul would die knowing that he was on his way into the modern art pantheon, on his own terms. “He’s not going to die an enigma” is what you said. How did he feel about knowing the book would be coming out and the likely trajectory of his posthumous reputation as an artist? Considering his global renown and the financial success that it brought him in the final 15 years of his . . .
Can’t make this stuff up. From Adam Ehrlich Sachs’s “The 10 Funniest Books” at Publishers Weekly: 1. Walking by Thomas Bernhard Bernhard’s oeuvre is the longest, funniest joke in literature. If I were being honest this list would probably consist of nine Bernhard books and maybe one by Beckett. 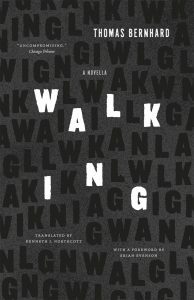 But I’ll go with this novella for its extremely long, hysterically funny description of Karrer’s mental breakdown in a clothing store, when he tries to convince a salesman, at some length, that the pants they are selling, when held up to the light, display a number of thin spots that can only be attributed to the use of shoddy materials, materials which Karrer insists (for page after page after page) must be what he refers to as “Czechoslovakian rejects.” To read more about (the patently absurd/deeply wounded/somberly screwball, which might be synonyms for “funny,” so we’ll take it) Walking, click here. . . .